Bollards done wrong. It’s a long pedestrian street, would you bollard the entire street, because they are proposing low risers. You will end caging the people like in Egypt. So the moral question: should we change our planning for pedestrians to ensure safety from a crazy person in a van, terrorists, drunk drivers, just incapacitated drivers. This is not the first, and will not be the last, time a driver plows down pedestrians. By doing so we show weakness to terrorists? Are we converting the outdoors to a Zoo placing pedestrians in cages. 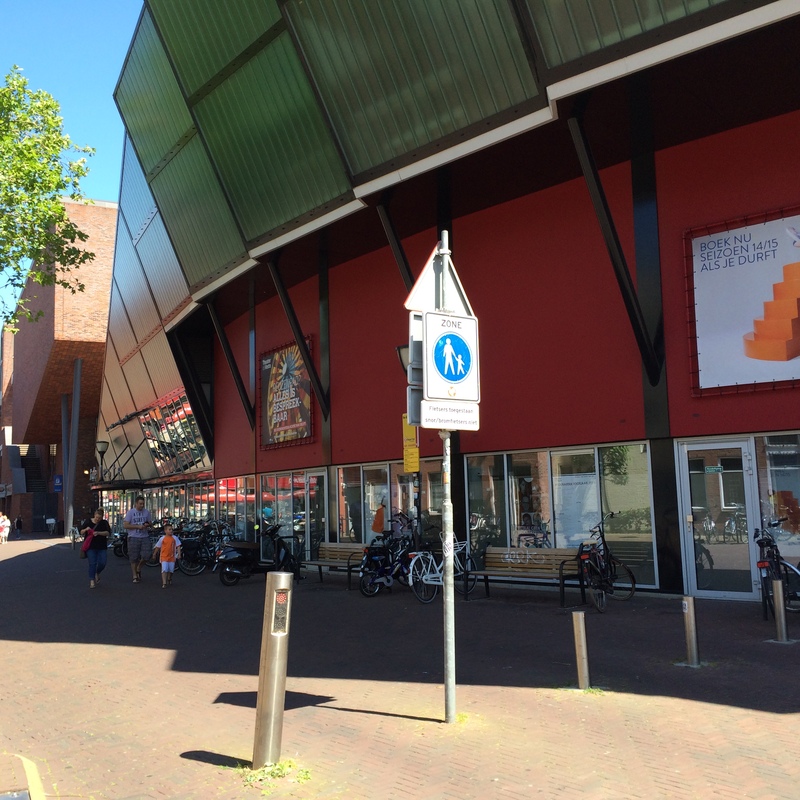 Should the woonerf, for example, be like an open zoo. It’s a moral and ethical question how much separation should we have in an era when crazy people uses cars as weapons to kill random humans. How many incidents and deaths will it take to change the approach for pedestrian environments to make it as safe as air travel. If we add more small obstacles, how much will they spoil the pedestrian environment and sense of freedom. The crazy person in a van problem is only going to get worse with automation and especially connectivity, a remote control car bomb is even easier than a suicide. 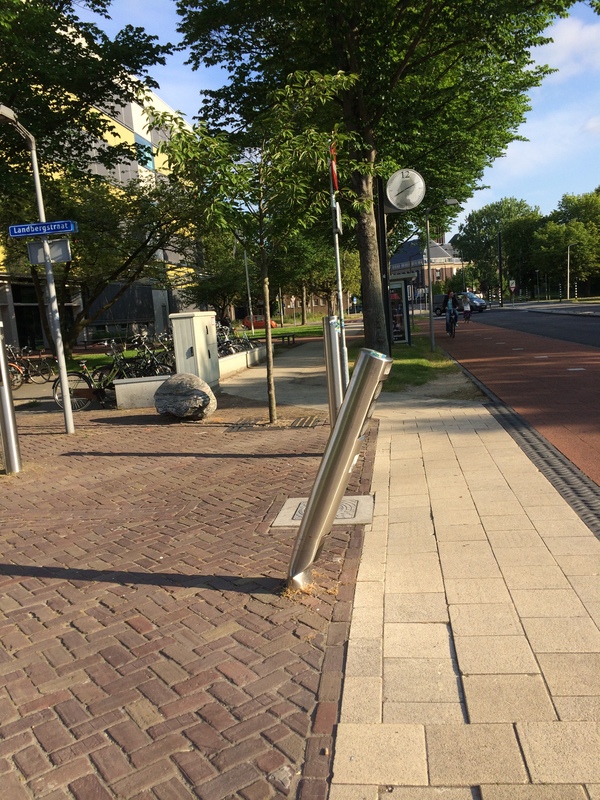 This Delft Bollard is a casualty of the Car Wars. In my view, cars should be in the cages, the people should be free. And then the cages need to be made smaller and smaller. All urban streets in heavily pedestrian trafficked areas should have bollards or equivalent to keep the cars away from the people. Woonerfs are fine for residential streets, and if people want to encroach on shared space that is also fine, but cars should not encroach on people space. Just as we don’t let cars in most buildings, there should be outdoor public spaces where they are also prohibited. 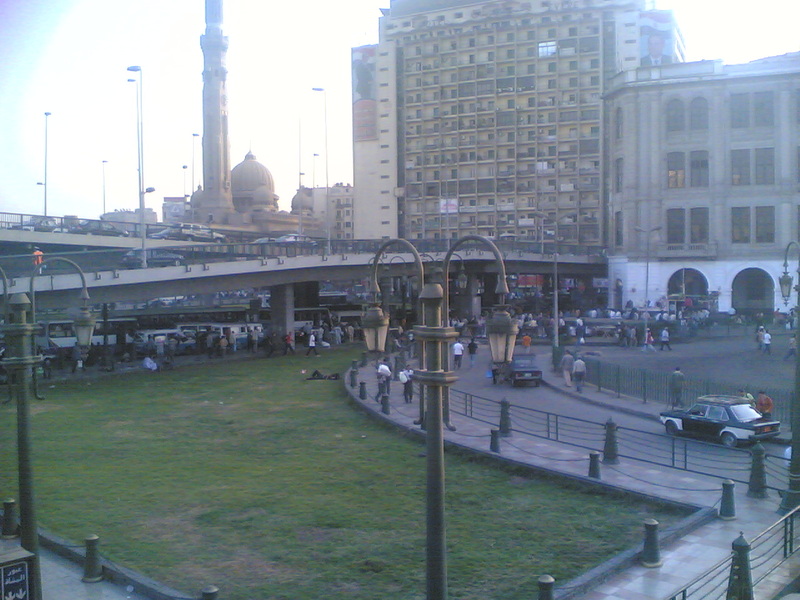 We don’t need fences or chains like in the photo of Egypt, just lots of posts (trees, bike racks, benches, bus stops, street furniture, planters etc.) that make it impossible for a car to run down the sidewalk or into buildings. This furniture of course should not interfere with the free flowing movement of people, and might require taking lanes from the storage, or even movement, of cars. 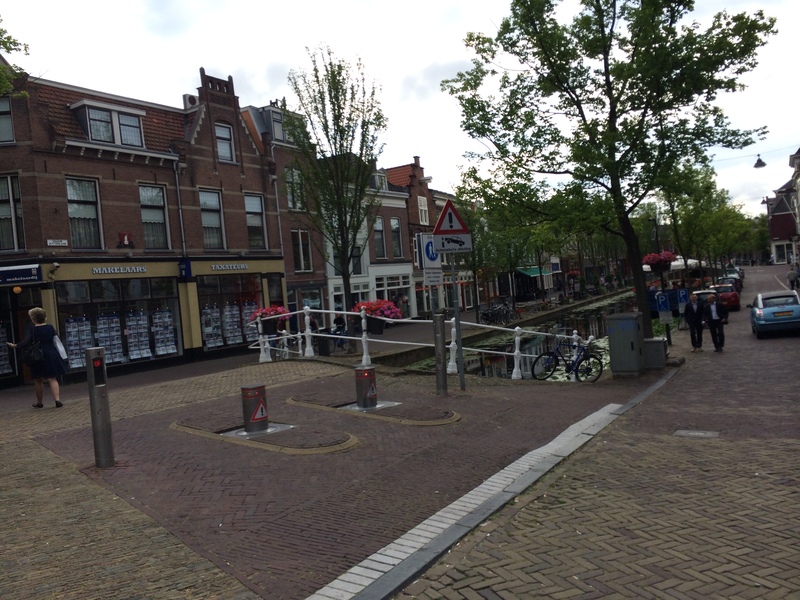 As with all good urban design, examples of this are in Delft, with some lowerable Bollards to allow service, emergency, and freight vehicles in when needed.